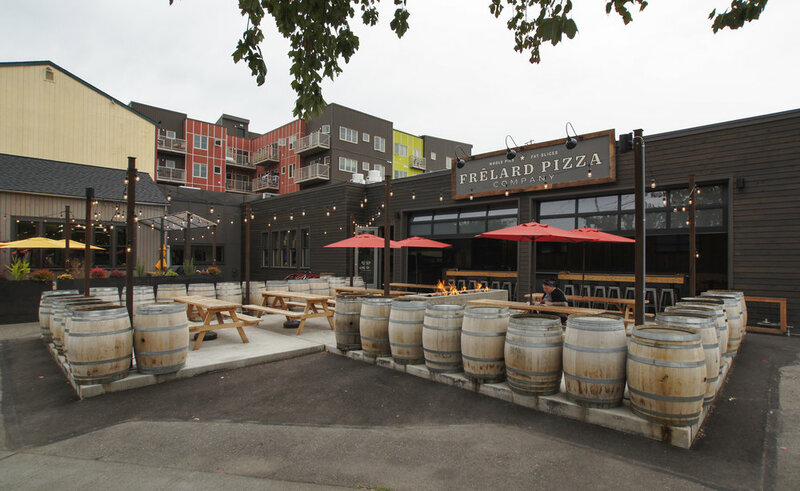 Following the success of Ballard Pizza Company, Ethan Stowell wanted to add a sibling restaurant in the neighborhood between Ballard and Fremont with a similar vision to its predecessor. The bright and spacious dining room, which includes a play area for children, is designed with natural materials, making it welcoming for the young families of the neighborhood. It's a casual and comfortable space that anyone can take advantage of. Connected to the dining area is an open patio with outdoor seating, perfect for warm days. The bright umbrellas and fire pit add to the cheerfulness, making the space all the more inviting. Order at the counter and catch a glimpse of the action happening in the kitchen, visibly ensuring the highest quality ingredients are being used for quality food at an affordable price. While Frelard has its own distinct style, we used similar materials as of that of the Ballard location to recall the connection between the two restaurants and keep the brand consistent. 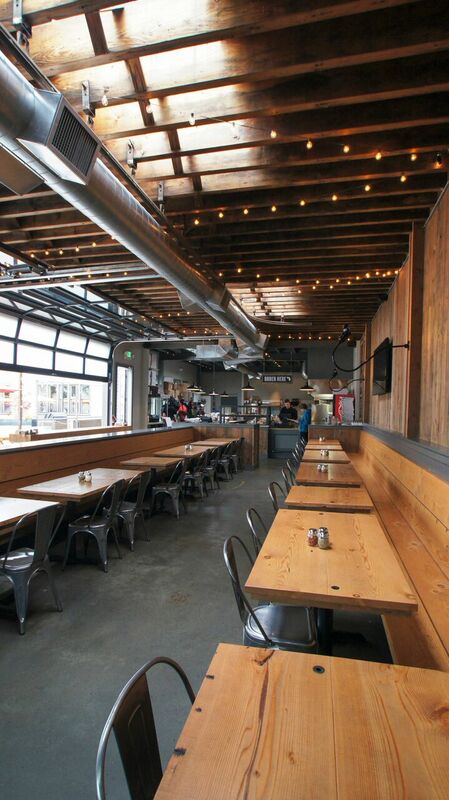 The two garage doors and hanging outdoor lights add to the charm of this neighborhood pizza joint. It creates a relaxing and fun environment that entices local passersby to stop by for a slice and pint.